The Pampered Chef expanded its support for the Family Resiliency Program in 2005. For the first time, this enabled it to provide funds for dissertation research awards, as well as for additional faculty research grants and public engagement activities. 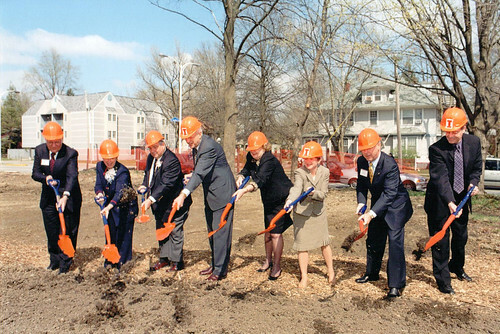 The vision of establishing a world-class center on family resiliency was realized in March 2006 upon the completion of Doris Kelley Christopher Hall and the founding of the Family Resiliency Center. Efforts began immediately to systematically connect research, application, and policy to help strengthen families’ abilities to meet life’s challenges and thrive. Center leaders emphasized the crucial role of externally-funded transdisciplinary research, dissemination, community outreach, and professional training in the center’s growth and development. Dr. Laurie Kramer served as the first director from 2002 to 2007 and was followed by Constance Shapiro, who served as interim director from 2007 to 2008. Current director Barbara H. Fiese has held the position since August 2008.